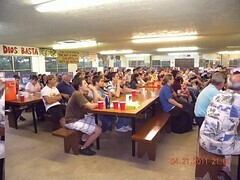 The Home of the Mother Holy Week Encounter in the United States was held at “Camp Shalom.” There were about 170 of us all together. The Encounter was led by Fr. Henry and Fr. Dominic, Servant Priests of the Home of the Mother. It went very well and we hope it will bear much fruit. 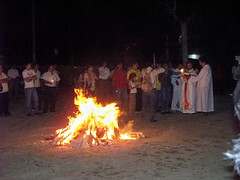 This past Holy Week, the 4th Holy Week Encounter with the Home of the Mother in Ecuador was celebrated in Playa Prieta. As in previous years, it began with the Chrism Mass in the Cathedral of Portoviejo. Fr. Juan, Servant Priest of the Home of the Mother, was able to concelebrate with Archbishop Mons. 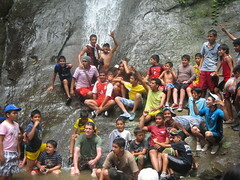 Voltolini along with the rest of the priests from Manabi. 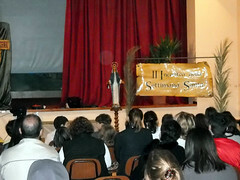 The 29th Holy Week Encounter in Spain took place in Valencia. 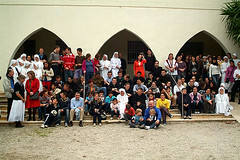 A total of 150 of us came together at the Dominican Monastery in the town of Torrente, now home to the Servant Sisters. 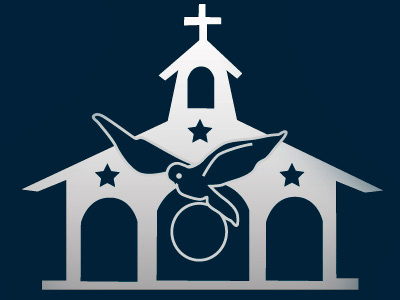 Many families attended the Encounter and for most of them, it was their first Holy Week Encounter with the Home of the Mother. When I began writing this little summary I couldn’t help but think of the saying "Life is full of surprises." Well that’s what happened to me in Ecuador; right when I thought I could predict what to expect I was blindsided by the unforeseen.